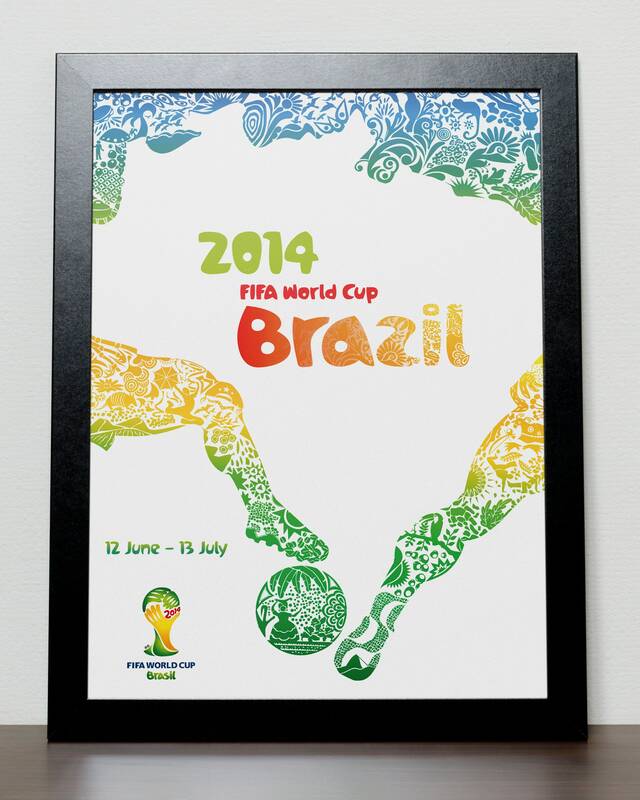 A3 iconic poster of the 2014 World Cup in Brazil. This is a high quality remake of the original official poster of the tournament designed from scratch this is not a photocopy. - Printed on high quality 280gsm matte poster paper. - Please be aware the poster is designed to be retro poster and has the retro look to the design. Each order is made to print. Any questions please dont hesitate to ask, Thanks for looking.